Experience the heart pounding action of expert hamster martial arts. Face off against unique and skilled opponents requiring quick reactions and careful movements. In Hamsterdam, the titular idyllic town is in peril – the vile chinchilla Marlo and his Rodent Gang are terrorizing the local citizens. Players control Pimm, a young kung-fu fighting hamster desperate to save his grandpa and the town. Battle, cosplay, and scooter your way through hordes of enemies on the arduous trek towards Marlo’s headquarter restaurant. Fight by tapping and swiping in order to perform devastating combos and counter against enemy attacks. Save grandpa, save the town! 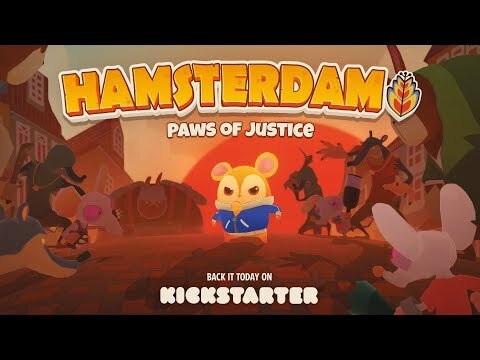 The Hamsterdam release date is to be announced on PC, PS Vita, Switch. Notify me when Hamsterdam is available.